much love, illy: Giveaway + Interview with Sarah of Peacefully Hooked!! Giveaway + Interview with Sarah of Peacefully Hooked!! today's sponsor is freakin' adorable and i think if we were to meet-up in real life, we'd be friends! 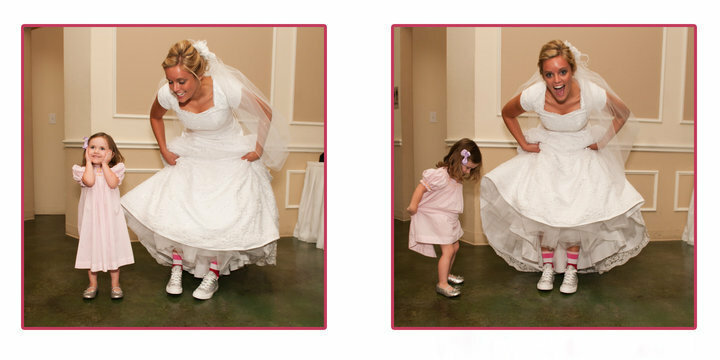 i mean, come on this girl wore sneakers and striped socks to her wedding, loves sour skittles (mmm!) and oh, and did i mention her shop specialty?! it is stocked full of colorful cowls! color plus cowls, i'm fainting as i speak. so get excited! you're gonna love this darling, crafter just as much as i do! 1) My husband and I are from a small town named Highland village Texas and I have been friends with his sister since 6th grade but didn't meet each other until we were in a class together in college. 2) I don't like chocolate, but I LOVE sour skittles. 3) My favorite movie of late is Despicable Me. I started Peacefully Hooked at the beginning of this year after many years of my friends and family telling me that I needed to sell all the little crafts I made. Most of my inspiration comes from my family. Each one of the names of my items are the names of the lovely ladies in my family. Right now I am using this shop as a way to raise money to fly myself home and take care of my awesome momma after she has surgery. As for the name Peacefully Hooked, well that was all due to my grandmother :) she's fantastic. In five years I hope to have little muchkins running around wearing all these cute little crocheted things I have made. I hope to still have a thriving shop where I can continue to share what I love with others. her shop is as darling as she is! see what i'm talking about? these are some of my favorite pieces. in love, right?! a Peacefully Hooked Merry Cowl with your choice of color!! i mean is that not awesome?! you readers get all the luck! so that she can fly home to help her mom recover from surgery. she has generously offered a special discount to you lovely readers. use coupon code merry15 at checkout f or 15% off your entire order! Giveaway is open to US and International Readers until Tuesday, Feb. 15th. Winner will be announced Wednesday, Feb. 16. I think I would go with citron or raspberry. I can't decide!! I like her FB page. i would want mine to be pink. I follow Illy and I want Raspberry so pick me!! I "hearted" her store on Etsy! I "liked" her facebook page! And...I hearted her on Etsy! Oh my word, I LOVE THESE! I would want citron FOR SURE! She has SUCH a cute etsy!! I would love the cowl in Eggplant!! I heart her shop on etsy!! And I liked her on facebook! I absolutely love her shop! I think I'd choose raspberry or fig! And I heart her on etsy! 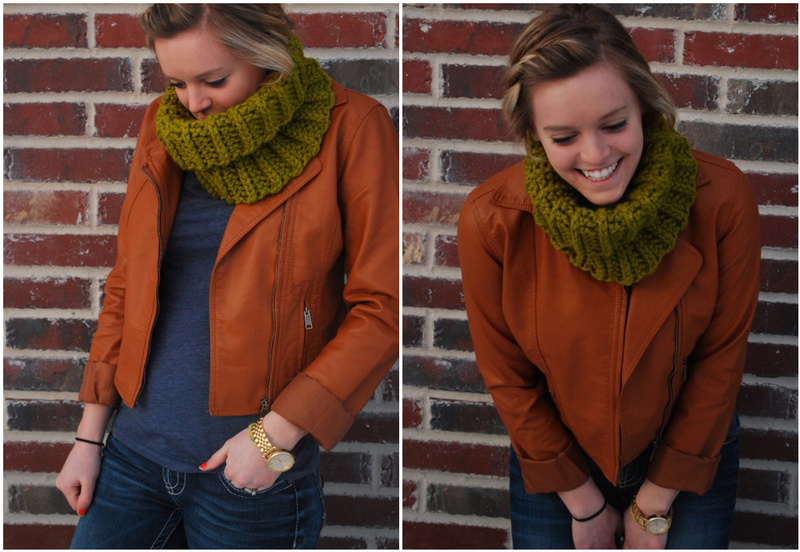 I would go with the citron or lemongrass color, amazingggg and cute cowl! I'm a follower and I'd LOVE one in Pumpkin! These are all so cute! I'm a follower and I think my favorite would have to be the Gold! I love the linen & the cilantro! So adorable!! And I'm a follower! And I hearted the shop on etsy! i follow your blog & I'd pick mustard or blue or gray or I don't know... it'd be cute in any color! There are SO many great colors, but I think I'd choose spice. i follow your blog, of course!! i would choose oatmeal, fig, citron or lemongrass.. ahh i can't pick one color, girl! LOVE those wedding photos! How fun is Sarah! Awesome! I'd definitely choose Sky Blue! I love how there are so many colour options! I hope her mother recovers soon and that she gets to visit her! And hearted her shop on etsy! I would have to choose the raspberry or cranberry!! If I could choose a colour it would be sky blue or gray marble. Beautiful! there are so many great colors! i dont know which one i would choose. maybe linen? granite? and i like her on facebook. So......I have hearted her shop, and liked her on facebook.....and I must say that I would like a Teal one please! Um, too many great colors! Loving the Charcoal and Claret. I would go with citron or cranberry, so many great choices! Ooooh! The citron is lovely. Awesome giveaway! I think my fav color is raspberry! oh i love the green in the photos. it's my favorite color! Her cowls are so adorable! I would love either the grass or cilantro - what pretty shades of green! raspberry or hazelnut! Oh the decisions. I LOVED..denim, grass, cranberry, charcoal, cilantro, wheat. Lovely!!!! I would love to have one in wheat!! My favorite is the grass green color! I <3 Peacefully Hooked on Etsy. I would choose either butterscotch or citron. I think I would have to go with Oatmeal! I need one that can go with almost everything! I love your blog and I love the claret color cowl!! Liked peacefully Hooked on Facebook! I am now following Sarah's blog!! Would love one in Fig!! I would want it in grass, spice, or cranberry. There are so many beautiful colors! Super cute giveaway! I already follow your blog and I think I'd like a soft, warm grey for my cowl. Or maybe mustard yellow. Tough decision! I liked the Peacefully Hooked facebook page! I love the cranberry!! !, also I am a public follower of her blog! ooooh!! I LOVE the Cilantro color!! and I, of course, follow your blog! I love the citron color best! Definitely bookmarking her shop- the crocheted necklaces are to die for! I *think* I would get it in grass but it's so hard to tell..there are so many pretty colors! And I hearted her shop, too. :) You have the besssst giveaways! i am now following her as well! 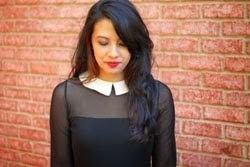 cute blog she has! I like the style of the lori one, and amethyst is lovely for cold weather while wanting a pretty touch. I am a follower of your fun blog and am glad to see an interview post. Reading about Etsy shop owners and designers is so interesting! Love the GRASS color--green is my favorite! I am now a proud follower of her blog! Enter me please! I'm a follower via GFC. My fav color is denim! I'd love to have mine in grass green! & i liked peacefully hooked on facebook! Heart-ed Peacefully Hooked on Etsy. That was hard! There are so many great colors! My favorite is the lemongrass! I follow your blog too! I absolutely love the colors citron and eggplant!!! I follow her at her blog eternity and beyond!! I liked peacefully hooked on facebook!!! wow, beautiful scarf!! i pick cranberry as my color! I would love the cowl in grass! And I liked her facebook page! And I subscribed to her blog! Pick meee!! I loveee the citron :). I follow with blog lovin' but I'm pretty sure I also follow you on google reader... Either way, I'm here every day! I am following her blog with Google reader. Ooh so pretty! I'm a follower of your blog with google. And I'm torn between the pumpkin and the cranberry (maybe I'm hungry?). I hope I win! I think I'd go with...Glacier! So hard to choose! Following her blog on Google Reader! hearted her shop on Etsy! Liked her shop on Facebook! OMG, i am in. love. with. her. shop!! so beautiful, ilene! hearted the shop! it could be a crime not to, haha! i would have to say im digging the warm brown right now! I follow & I like the fisherman and eggplant colors the best. Such great neutrals! oh, and I favorited Peacefully Hooked on etsy! 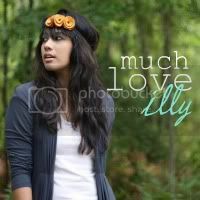 Follow Much Love, illy via GFC as Monik. Publicly follow Sarah's blog as Monik. Like the Peacefully Hooked facebook page as Monika Lintang Retnani. Tweet about the giveway here. I like the color yellow.